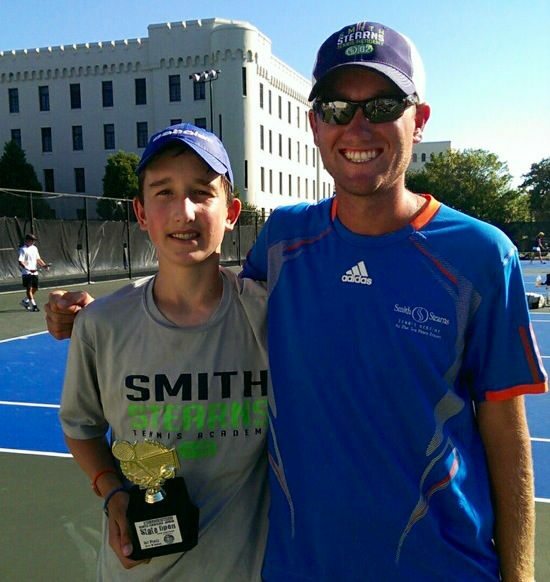 Over 25 Smith Stearns students participated in the SC Junior State Open, which was held from September 20-23 in Charleston, South Carolina. It was a successful weekend with our students winning a total of 4 singles titles including the boys 14-18’s title and the girls 18’s title. Kyle Barr has his hands full in the boys 18’s division but fought hard each match and ultimately came out on top. 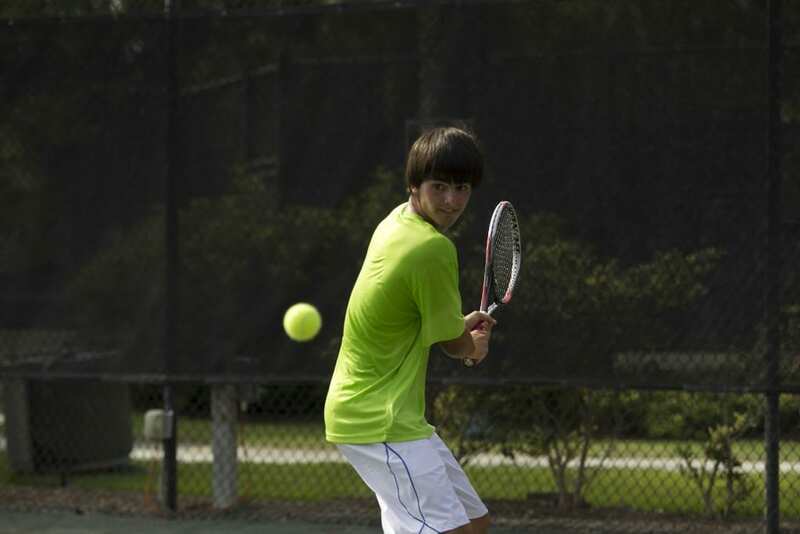 He won his semifinals and final match in a third set breaker to win the title. Kyle also dominated in doubles play as he reached the final before coming up just short. 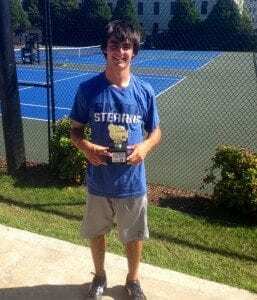 Sean Sculley won the boys 16’s singles title in rather convincing fashion losing only six games the entire tournament. In the finals he beat the #1 seed, 6-2,6-1 to claim the title. 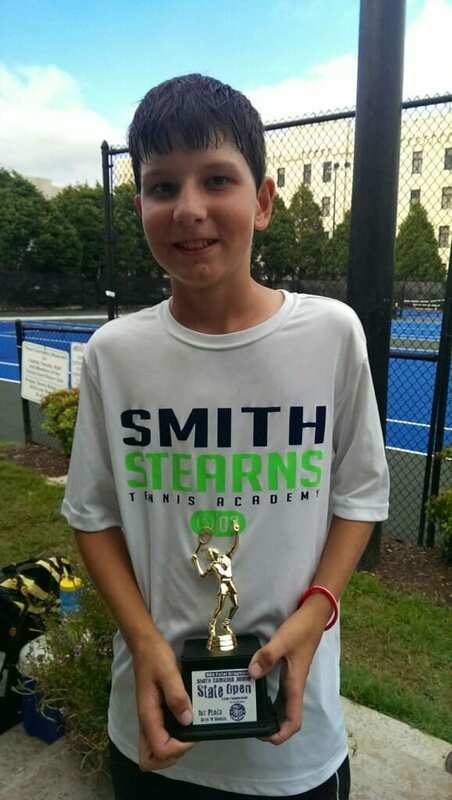 Sean also made the semifinals of the boys 18’s doubles event with fellow Smith Stearns student Peter Higgins. 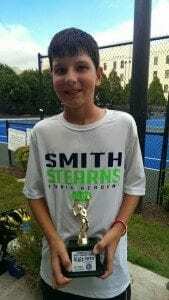 In the boys 14’s it was another Sculley that dominated the competition. Scott Sculley battled each match and won a tough final against the #4 seed in a third set tiebreaker. As an unseeded player, Natalie Kitchen dominated her way through the draw beating the #4 seed 6-0,6-0 and the #2 seed 6-3,7-5. 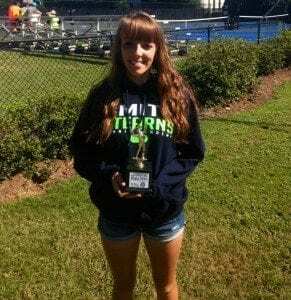 In the finals she had to battle to the very last point to beat Morgan Valentine in a third set tiebreaker to win the title. Congrats to all of our students for another fantastic tournament!